Guests at one of the UK’s most prestigious charity events are set to be dancing on the ceiling this June when international superstar Lionel Richie takes to the stage for a headline performance. The singer, famed for hits including ‘Hello’, ‘Truly’, ‘All Night Long (All Night)’, and ‘Three Times a Lady’, will perform at the Caudwell Children Butterfly Ball on Thursday, 25th June, in London. The annual event hosted by national charity, Caudwell Children, has raised over £10million for disabled children since first moving to London in 2007. By performing at the Butterfly Ball, Richie will join an impressive list of musical greats who have entertained audiences at the annual event, including Tina Turner, Sir Elton John, Rod Stewart, Kylie Minogue, Robbie Williams and the late Whitney Houston. Caudwell Children is a national charity providing practical and emotional support for disabled children and their families. Celebrating their 15th Anniversary in 2015, the charity has provided services worth over £35million and helped over 20,000 children from across the UK. “We’ve come a long way in our relatively short history and this year’s Butterfly Ball will be a celebration of our achievements and a special thank you to our supporters.” added Mrs Beswick. The Butterfly Ball takes place on Thursday, June 25th, 2015, in The Great Room at Grosvenor House, Park Lane, London. 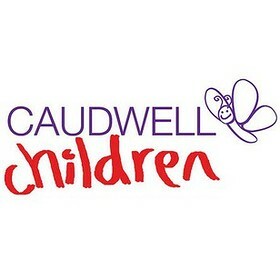 For further details and information visit www.caudwellchildren.com/butterflyball or call 01782 600 444. To date Caudwell Children has provided services worth over £35 million to thousands of children with over 550 different medical conditions. The charity is committed to changing the lives of children by providing specialist equipment, treatment and therapy as well as its annual ‘Destination Dreams’ holiday for families coping with a child’s terminal illness and their Family Support services. Caudwell Children was registered in March 2000 and is widely recognised as one of the country’s fastest growing children’s charities. Since its inception the charity has doubled every pound raised, achieved through supplier partnerships, which means every pound donated works even harder. The charity was founded by philanthropist, John Caudwell, whose vision was to create a sustainable children’s charity that offered benefactors’ transparency and peace of mind that 100% of their donation was being used to directly change children’s lives. By donating the cost of the charity’s annual management and administration overheads, Mr Caudwell has guaranteed an efficient way for individuals and businesses to change the lives of thousands of sick and disabled children living in the UK. John Caudwell remains the Charity’s largest benefactor and sits as Chairman of the Board of Trustees. The Charity’s ambassadors include Hollywood actress and author, Joan Collins, actress Elizabeth Hurley, Rod and Penny Stewart, Peter Andre, Bruce Forsyth and singer, Robbie Williams.